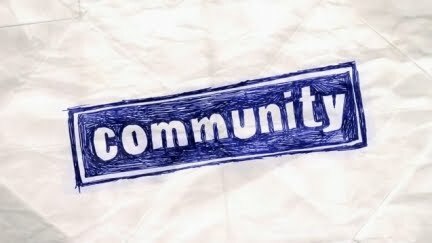 Quick Thoughts COMMUNITY, "Origins of Vampire Mythology"
In the past, I've said that Community is at its best when it can seamlessly combine the pop culture nods with character based moments, and while I still hold to that assertion, sometimes it can strip away the bells and whistles and still give us a good episode. I'm going to say that "Origins of Vampire Mythology" was one of those efforts. Much like "Pillows and Blankets," this one wasn't as laugh out loud funny, but it once again looked at these characters and how they relate to one another and made that the center rather than wasting too much time on setting up references to movies, TV, etc. That's not to say that it didn't have its share of those moments, the best vampire kick-boxing movie of all time (Blade) was integral to the plot but it didn't overtake it either. The reason why the famous Wesley Snipes film was being tossed around all episode had to do with the fact that Britta's ex-boyfriend was named Blade, and he was also a carney. Once all of the cheap laughs at the expense of carnival folk subsided, "Vampire" examined Britta's psyche and her relationships with Annie and Troy. While these moments were a little silly, it was also the heart of the entire episode and highlighted what Annie and Troy bring to the table besides being cute. It was also reminded me how much I like the trio of Troy, Abed and Annie, and if they were the core of the show going forward then I'd be happy. But it wasn't just a strong episode for those two because Britta also shined in the spotlight, and I'm glad that Gillian Jacobs has been able to recover from the backlash her character faced during the first season. Speaking of Season 1, Jeff's sub-plot felt like a throwback as he spent all of his time trying to figure out why Britta was so obsessed with someone like Blade. Out of the two main story lines, this one was by far the weakest because it took what ever little character growth we've seen in Jeff and tossed it aside. Instead of seeing a more self-aware Jeff, we had to watch him figure out why anyone would like Blade more than him. It also brought back the idea of him winning over Britta, but that was quickly subverted and became about him being an egomanical jerk. That being said, I do love watching him interact with Shirley. One of the things that's always puzzled me about Community is the fact that it's not a ship-heavy show, but it finds itself being just that. Fans of this show shouldn't really care about whether Jeff ends up with Britta or Annie, or hoping that Britta and Troy end up together, but some of us do and it bothers me sometimes. Community's supposed to be this avant-garde show that breaks away from traditional tropes, yet here we are getting caught up in the love lives of characters on a TV show. That whole rant was a long way of me saying that I'm glad they rekindled the spark between Britta and Troy, but I'm finding myself indifferent about Annie and Jeff. The one pairing I don't care about is Pierce and Chang, so it's pretty easy to guess that I hated every scene that focused on those two. Luckily, their new friendship didn't take up too much time and was more of a throw away than anything. Oddly enough, it did seem like a very meta reference to the show itself now that we know what's been going on between Dan Harmon and Chevy Chase, and honestly that's the only reason I found it remotely entertaining. I can see why some die-hard fans of Community will dislike "Origins of Vampire Mythology." It didn't have nearly enough winks and nods or riffs on pop culture, and it wasn't particularly funny, but like I've said before; I'll take character driven moments over cheap jokes any day of the week. Since we got some of those during "Vampire Mythology," I'm happy with it overall.